Andrea Schmutz AP, DOM – Acupuncture Physician and Doctor of Oriental Medicine – has opened a location in Aventura Florida to practice acupuncture for infertility. Now located at Health By Choice in Aventura Florida – 17971 Biscayne Blvd Aventura FL, 33160 – she brings her expertise from both eastern and western models of infertility treatment to enhance your chances of conception and maintaining pregnancy. Whether you are interested in acupuncture for IVF support or your interested in getting pregnant naturally with acupuncture, Chinese herbs and nutrition, Dr Andrea is confident that she can help. Read more on Dr. Andrea’s unique approach and superior set of skills at treating infertility by clicking here. 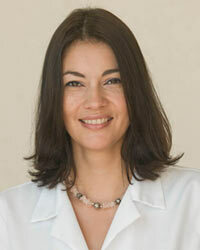 As a native of Switzerland and fluent in 5 languages, Dr. Andrea Schmutz has a myriad of experience in the reproductive endocrinology field as nursing supervisor at Fertility & Genetics in South Florida, where she was an integral part of a team that performed egg retrievals, laparoscopies, hysteroscopies and other surgical procedures related to fertility. She brings that knowledge to Aventura Florida, opeing her own private practice of holistic medicine, acupuncture and traditional Chinese medicine to assess and treat many forms of infertility. Please call (786) 537-7022 to get started today. Learn more about acupuncture and infertility by visiting her website devoted to the subject of women’s health and wellness.